How to stand out in the crowded dental marketplace. When we first started marketing for dentists in 2007, many dentists still didn’t have a website and the cost marketing on the Internet was a fraction of the current cost. We use market research to get into the minds of our clients’ target audience and to isolate how to best reach this audience. This includes surveys, demographic studies and competitive analyses. Customization is vital. Our mission as marketers is to attract your target audience’s attention, engage them and get them to call your practice. Nothing is more uninteresting than a website or other marketing piece that uses only generic content and stock photos. A website or direct mail piece should reflect your practice. It should show pictorially and in its text, your strengths, your skill, your care for your patient and your love of your vocation. It should show patients who have benefited from the dental work they have received at your practice; and it should give a prospective patient a look inside your practice so that they are already familiar and comfortable with going there. Personalization means our staff actually working to optimize your marketing at all times, and not relying on automation or rote formulas. For instance, our pay-per-click advertising managers personally work on our clients’ accounts to ensure they are getting the best result for the best budget. Yes, we use software to help us track, analyze and optimize, but software is not a substitute for the trained, analytic eye of one of our managers. 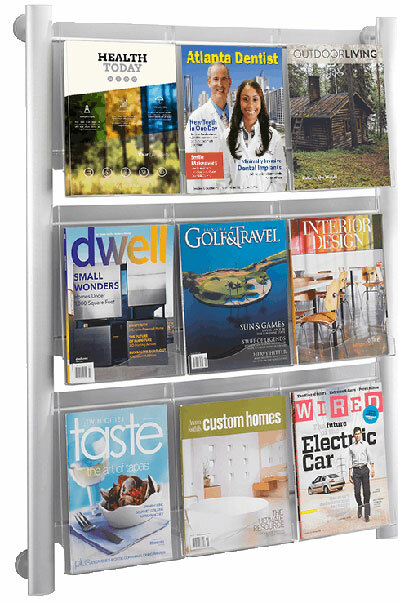 We created our custom magazine direct mail program to reach our clients’ target audiences directly. It is the ultimate solution for the busy Internet as it reaches people who may or may not find you on the Internet, or who may not even look on the Internet for the type of procedures they need to get. Because direct mail has also proliferated in the last decade, we needed to create something that would be noticeable, engaging and credible. Our unique magazines are just that. We receive constant comments from our clients about new patients coming in ready for major dental work at their practice as a result of reading their magazine. If you’d like more information, or want to chat, please call at 855-486-2410 or click here to email us.